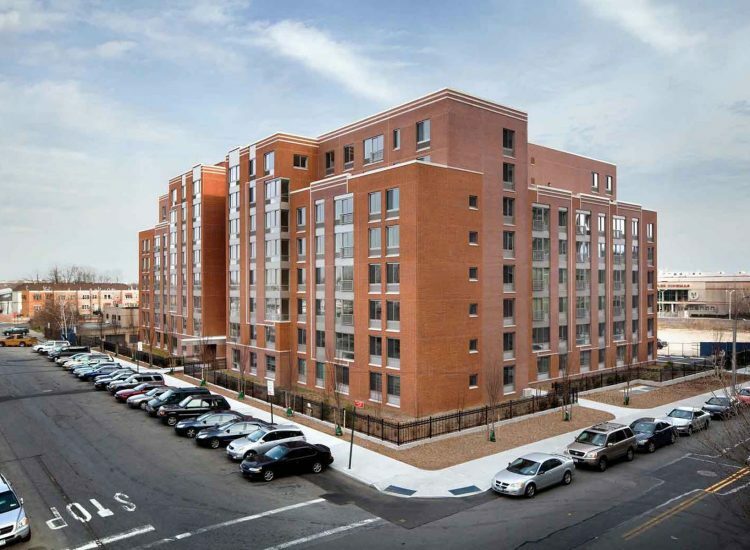 Brooklyn, NY | Bright Power worked with Hudson Companies and MHG Architects to design a building that achieved ENERGY STAR Certification and 26% energy savings compared to code. 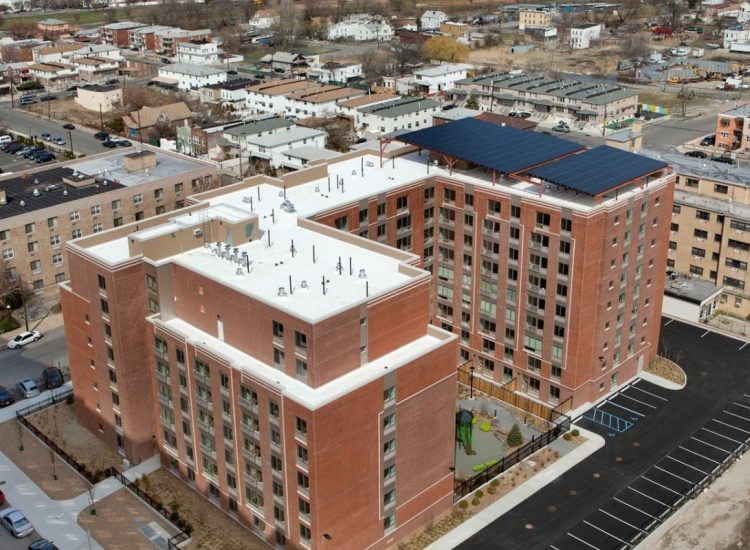 The project features a solar photovoltaic (PV) system that was the largest solar PV array on a residential building in New York state at the time of construction. The solar PV system provides 40% of the electricity needed to power common area electric loads like laundry facilities and elevators. Dumont Green was one of the first city-subsidized affordable housing developments to attain Enterprise Green Communities (EGC) Certification. By building to EGC standards, Dumont Green boasts lower utility costs, a healthier living environment for its residents, and increased sustainability.